When walking through a museum it is easy to forget that the perfectly hung paintings and well-lit sculptures are products of a long and arduous process. They are the end result of creative inspiration, but also a myriad of physical and logistical details. It is these details—aspects of an artist’s daily routine—that motivated Joe Fig to embark on a life-long exploration of the working lives of his fellow professional artists. 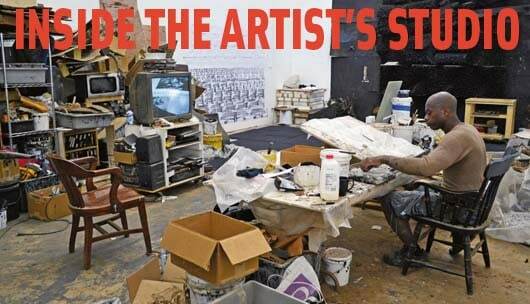 Over the years he has interviewed more than 120 leading contemporary artists. On Thursday, October 22 starting at 6 PM, Joe Fig will be speaking about the evolution of his work and the insights he has gained which are published in his new book Inside the Artist’s Studio. A book signing will follow the lecture.